General Tire have teamed up with big-wave surfer Andrew Cotton on ‘Wavemaker’ – a new video campaign. West Drayton, October 2018. 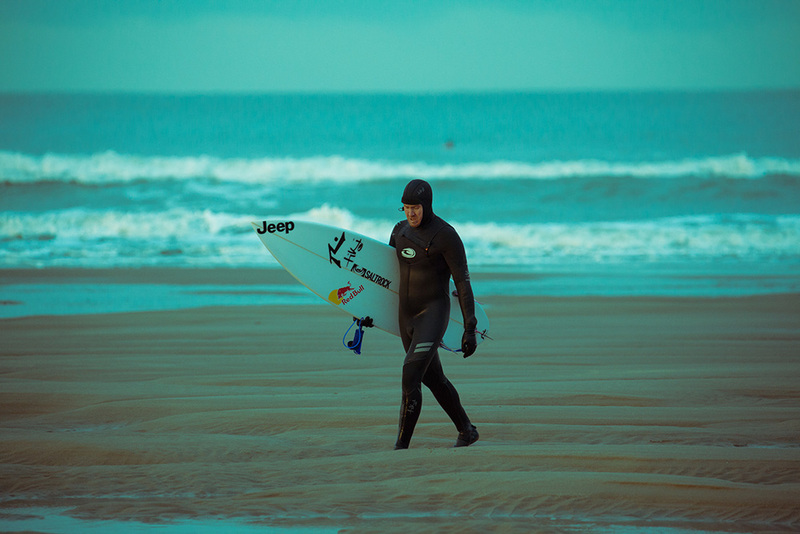 General Tire have teamed up with big-wave surfer Andrew Cotton on ‘Wavemaker’ – a new video campaign that documents Andrews return to surfing after breaking his back – as part of their aim to show UK motorists that ‘Anywhere is Possible’. Working with Micheldever, the exclusive UK distributor of General Tire, the brand is bringing its spirit of adventure to UK consumers with Andrew’s remarkable story. After wiping out on a huge wave in Nazaré, Portugal in November last year, Andrew was left with a broken back and his return to surfing was far from certain. 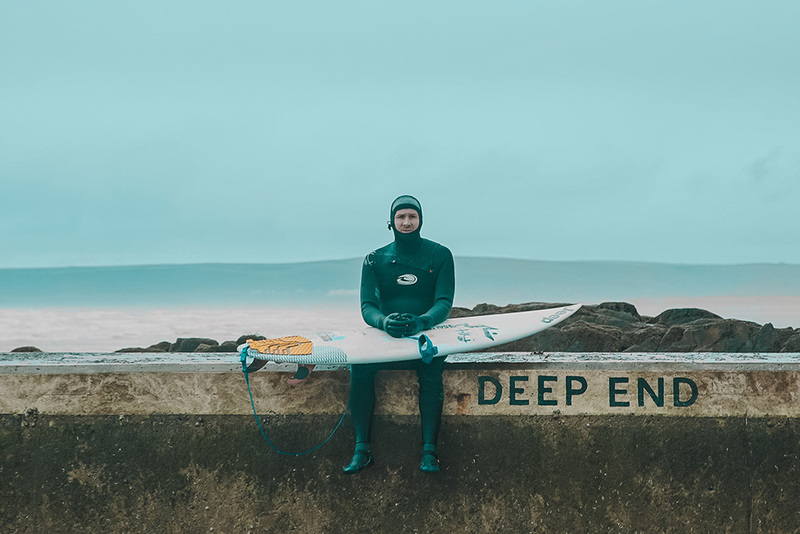 The video follows Andrew through his rehabilitation right up to his first steps back in the surf at home in Devon. With the tagline ‘Anywhere Is Possible’, the videos echo General Tire’s ethos of maximum performance, reliability and living life to the full. Having recently returned to Nazaré, General Tire will conclude the series with photography and videos showing Andrew taking on the waves that threatened his life just five months ago. Andrew is a well-known figure in the big-wave surfing community having towed American surfer Garrett McNamara into the “biggest wave ever surfed” according to the Guinness Book of World Records. Global communication agency, Initiative, were brought in to manage the campaign – working closely with ClickOn, Andrew and his family to capture his drive to get back on the board. Peter Robb of General Tire added: “It was a real privilege to follow Andrew and his journey back to the surf. “His resilience, spirit of adventure and drive to push the limits perfectly align with the values of General Tire. Do you remember your first wave? I have a memory of being seven or eight. It was around Easter and my dad sat in the car at Sauton Sands in North Devon while I went out on a board for the first time. The water was absolutely freezing and I think he thought I was utterly mad – but I was addicted from that moment on. He got me my own board not long after. What's your favourite place to surf? I’ve been lucky enough to surf in some incredible places, but nothing quite beats home. North Devon is where I first surfed and where I’m fortunate enough to still live – so the waves here will always be special to me. What's the most remote place you've travelled to surf? The West Coast of Ireland is pretty remote. I have a mate with a catamaran and he’s got me out to this lump of rock out at sea before. I’ve also sailed to some uninhabited islands off the coast of Portugal. ‘Islands’ is probably a bit generous –they’re more rocky outposts in the Atlantic. It took us a few days to get there but it was absolutely worth it. What’s been your big-wave career highlight to date? I don’t think I’ve had it yet – there’s a lot more I have planned! In terms of waves though – two spring to mind. One in Nazare in 2014 and another off the West Coast of Ireland in 2012. They probably only amount to about 20 seconds of surfing but they’ve both stuck with me. How do you decide where to surf next? There’s a hugely geeky side to big wave surfing that people don’t really know about. I’m constantly checking weather charts to see where the next big system is going to hit. Things are more stable the further south you go – I can usually tell 5 days out whether a trip will be worth it. More often than not though, I’m working with a 48 hour window – especially for places like Ireland where conditions can change incredibly quickly. What preparation goes into a trip? A good big wave surfer has to have the logistics locked down. You can’t get to a location to find you have the wrong wet suit, or the jet-ski isn’t working, or there’s a crack in your board. Considering how quickly we have to get going if a weather system looks promising, it has to be a case of always being prepared. Do you do any other adventure activities apart from surfing? The outdoors is a huge part of my family life. We go camping a lot and I cycle and swim to keep my fitness up. Naturally, I’m out on the water all the time. As well as surfing I’ve taken up foil boarding which gives me another excuse to get my wetsuit on. What was the most difficult part of your rehabilitation? It’s actually been this last bit of rehabilitation - feeling like I should be able to do more than I can. It’s that extra 1% above and beyond standard recovery that I need in order to make me ‘fit to crash’, as my Physio put it. I have to be strong enough to handle another wipe-out. What made you want to go back to Nazare? Nazare has the biggest waves in the world so, as a big wave surfer there was never a question of not returning. It’s a place that pushes you to the next level – and that’s part of who I am. What did your family and team make of your decision to go back? They were all very understanding. My team is made up of fellow surfers – some of whom have had serious injuries themselves – so they know how important it would be for me to get back to Nazare once I was fit. Have you changed anything about your preparation/kit ahead of returning to surfing? Hindsight is 20/20 and I’m not sure I would change anything about how I took that wave. If I’d have played it safe I’d just be kicking myself for missing a chance. What worked perfectly was all my kit. When I came of my board, everything was in place to keep me afloat, get me out of the water and back on the beach. If anything, it has proved how vital all that kit and preparation is – because I’m still here and ready to surf again.